During the week 1-10 September we will be hosting a ‘pop-up festival’ in East Reading, which will attempt to bring together and explore various issues pertinent to community life. 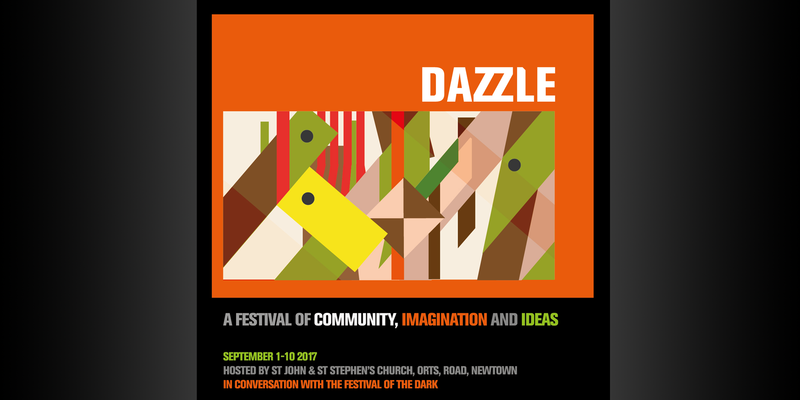 The festival is entitled ‘Dazzle’ – illuminated by the darkness. For many people, current issues the world is facing seem overwhelming; the fast-paced nature of capitalism and hungry consumerism raises many challenges politically, socially and philosophically. For those at the wrong end, or outside, the social scale the prospects seem bleak and dark. Outrider Anthems is currently running a year-long ‘Festival of the Dark’ in Reading, with the support of Arts Council England. The Festival of the Dark has sought to explore the concept of Darkness through art, installation, drama and discussion. The hope is to discover the positive aspects of embracing darkness and shadow; to consider ways that society and communities may be enriched. Dazzle has emerged in ‘conversation’ with these themes in order to explore what darkness means for science, art, theology, philosophy and culture. It aims to be a festival of ideas and practice. Some of our conversations will include ‘hidden’ ideas of guerrilla gardening, community enrichment and permaculture. Our keynote speaker earlier in the week is Kate Raworth, author of the influential Doughnut Economy; and other contributors will probe the philosophical, scientific, artistic, poetic and social aspects of Darkness. 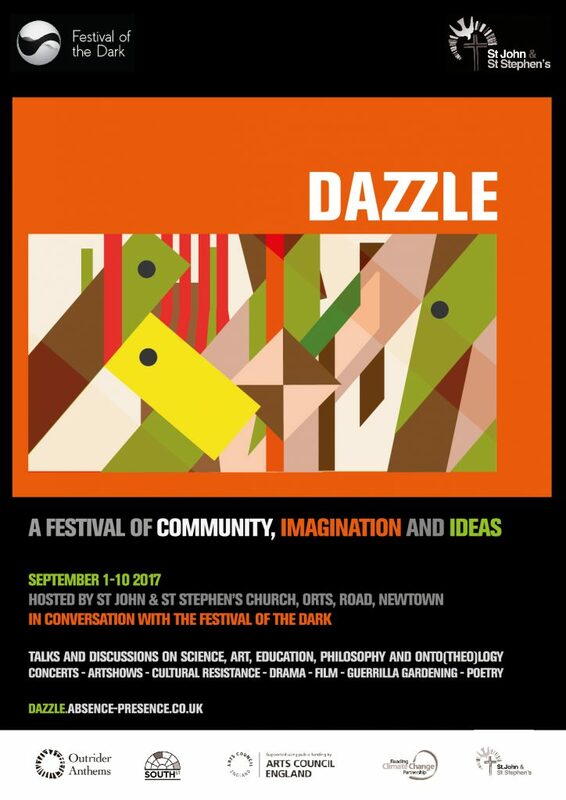 On Saturday 9th we will hold a day-long Symposium Dazzle-Thinking asking what does the word ‘darkness’ mean to artists, philosophers, scientists, activists, and theologians; and allowing a conversation to emerge. This site will hopefully bring enough illumination to whet the appetite, please spread the word, the revolution is coming!